2017 Forest River Sandstorm T281GSLR Toy Hauler with Solar Power! 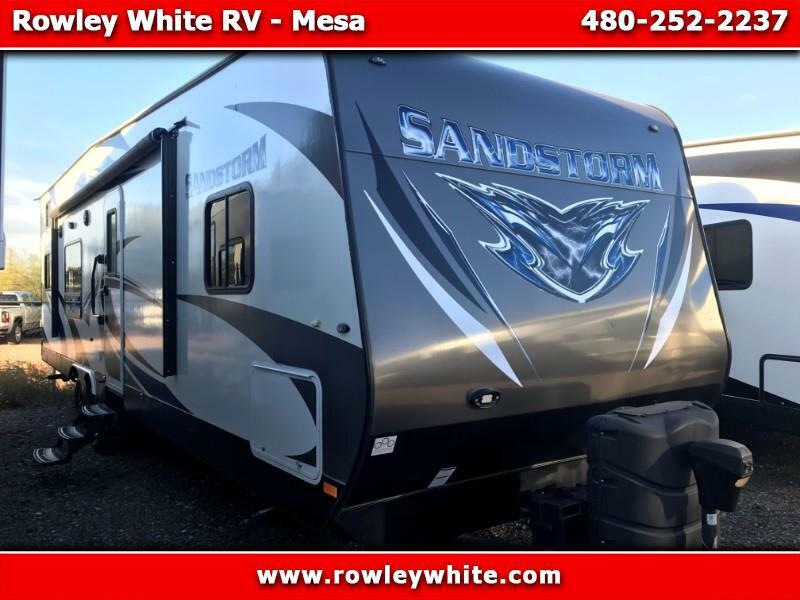 USED 2017 Forest River Sandstorm T281GSLR Toy Hauler with Generator! There is 13 feet of cargo space to the first cabinet and 17 feet on the other side! 78” under the bunks in the up position! Message: Thought you might be interested in this 2017 Forest River Sandstorm.